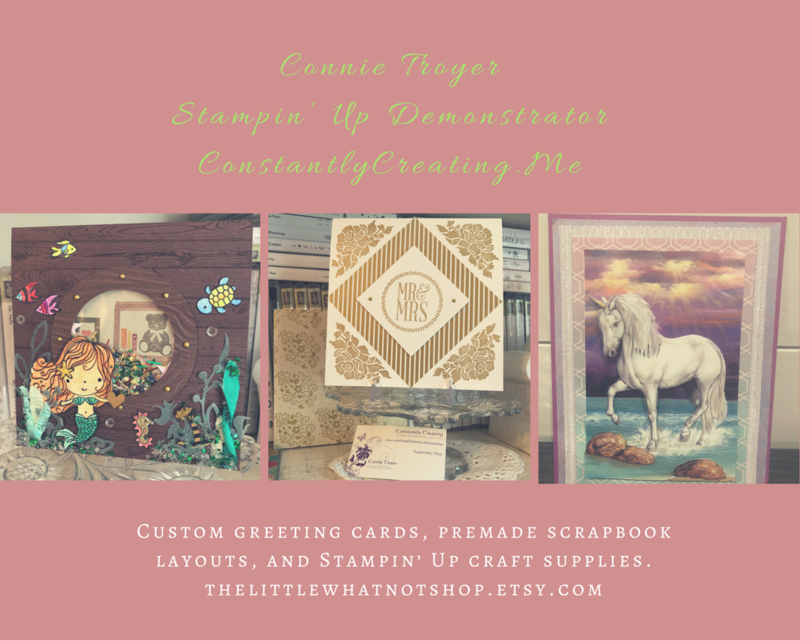 I started by adhering a panel from the Festive Farmhouse DSP to a panel of Gray Granite card stock with SNAIL and then to a Gray Granite card base with Stampin’ Dimensionals. I cut two sets of leaves and branches from Whisper White card stock with the Frosted Bouquet Framelits Dies and then sponged them with Soft Sea Foam, So Saffron and Petal Pink inks. I adhered them to the card front with Glue Dots. I inked the floral images from the First Frost stamp set with Sponge Daubers and Soft Sea Foam, So Saffron and Petal Pink inks and I stamped them on a panel of Whisper White card stock. I cut the images out with the coordinating Frosted Bouquet Framelits Dies and adhered them to the card front with Glue Dots. I inked the “birthday” part of the sentiment from the Special Celebrations stamp set in Soft Sea Foam ink and stamped it on a panel of Whisper White card stock. I cut it out with the smaller frame die from the Frosted Bouquet Framelits Dies and then adhered it with SNAIL to a frame cut from Soft Sea Foam card stock with another one of the Frosted Bouquet Framelits Dies. I adhered the layered sentiment to the card front with Stampin’ Dimensionals. I used one of the Merry Christmas Thinlits Dies to cut a panel of Galvanized Metallic Paper and I adhered the die cut sentiment to the card front with touches of Multipurpose Liquid Glue. I added three Frosted & Clear Epoxy Droplets to the card front to finish it. I stamped the sentiment from the Special Celebrations stamp set in Gray Granite ink on a panel of Whisper White card stock. I inked the flower image from the First Frost stamp set with a Sponge Dauber and Soft Sea Foam, So Saffron and Petal Pink inks and stamped it next to the sentiment to finish the inside of the card. I’m always afraid to get a little creative but I’m glad you are not! It’s a beauty. I never know how much creativity is allowed! Your card is simply lovely. I really like your use of subtle colors, very understated, but, oh, so lovely! Oh Amy! This card is so beautiful, I had to create a new Pinterest Board called Favorite Cards just to place it! It is wonderful! So pretty. I love the layering and use of the big Happy die cut. Such a happy card. TFS. Lovely card, Amy! I agree with all of the above comments. This is really sweet! That wood background is perfect and I love the two frames layered over one another. Great card. So elegant! Love the scripty die cut! 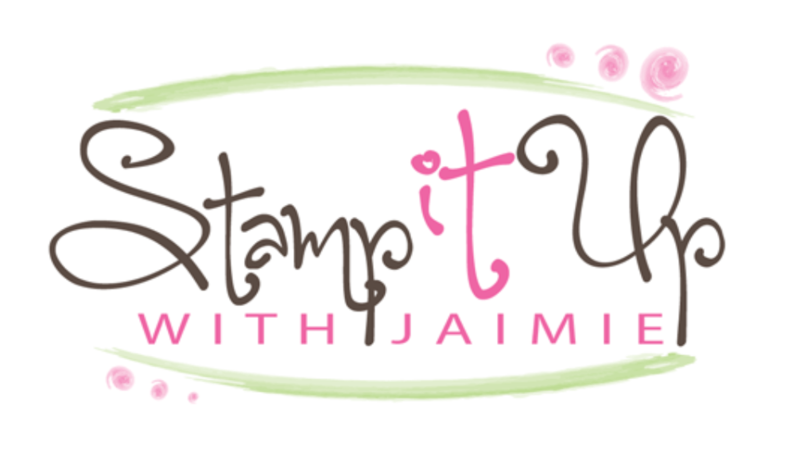 Such soft beautiful colors Amy, Love the combo of stamps with the background! Great job Amy, love these colours. Well put together.